I’m officially dubbing this the summer of “whoa – put the brakes on!” I honestly can’t remember when we’ve had so many irons in the fire at once. Summer seems like it is just passing us by at lightening speed. 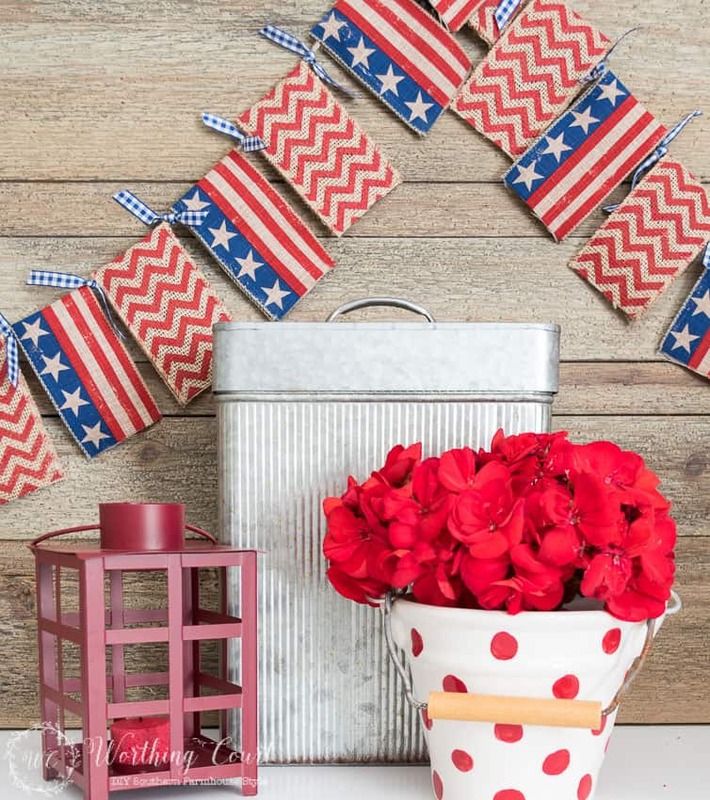 Don’t get me wrong – everything is wonderful and I even have something exciting that I’ll be able to share with you in a few weeks, but in the meantime, I haven’t had two seconds to do any July 4th decorating around here. I’m changing that right now! 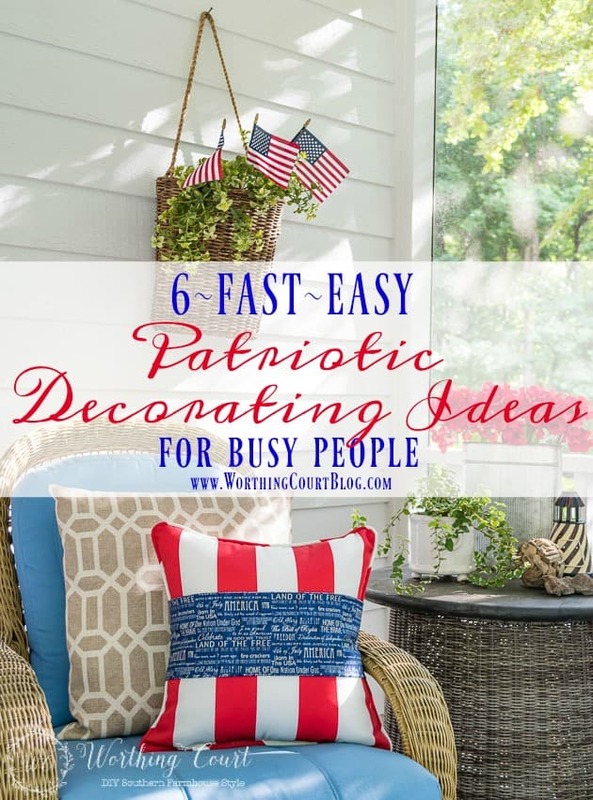 If you’re finding yourself in the same boat, I’ve got six fast and easy ideas to add a little patriotic flair to your home here at the last minute. Better late than never – right? Think outside of the box. Grab something red, white and blue to replace the same ole, same ole candle that’s always in your lantern. Looks great on it’s own or as a quick and easy centerpiece! Can you wrap a present? 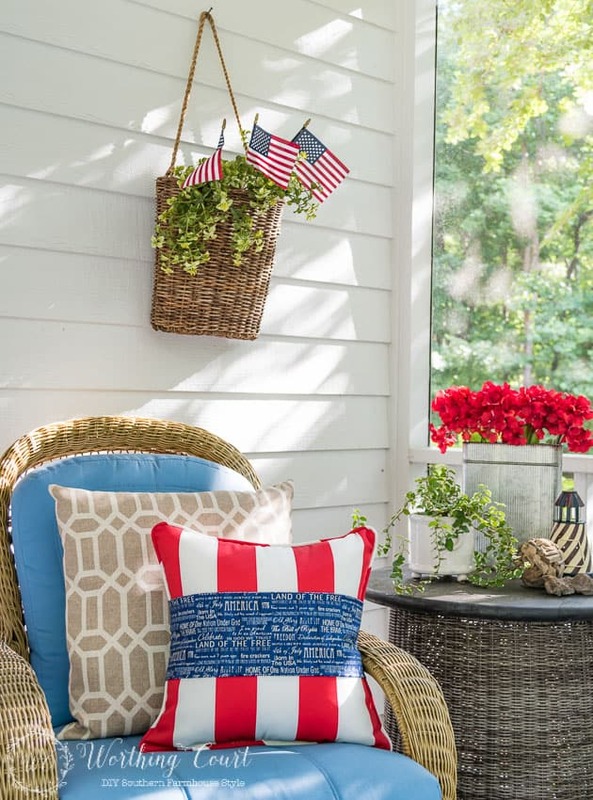 Then you can certainly come up with some patriotic pillows in a flash! 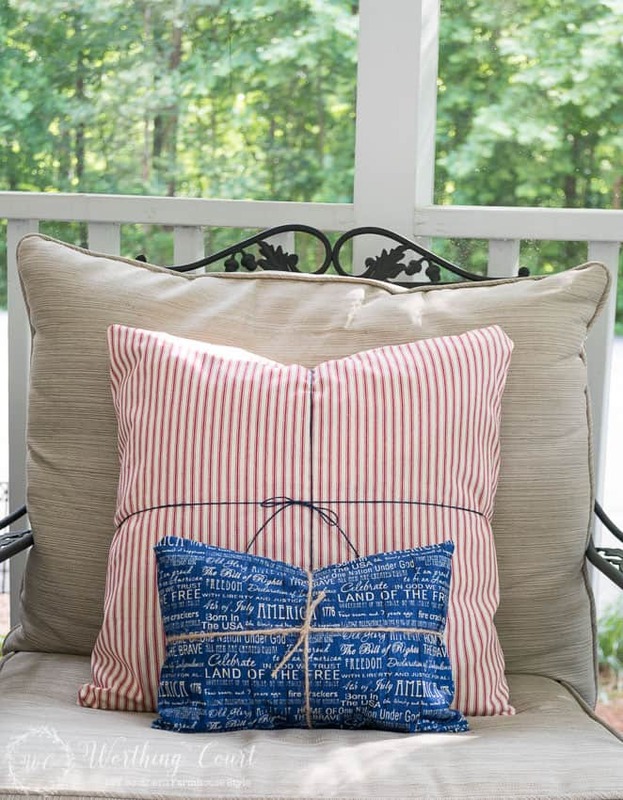 Simply wrap the pillows with fabric as if you were wrapping a present and secure with ribbon or twine. Or, how about just adding a band of fabric to an existing pillow and securing it in back with a safety pin? Let’s face it, July 4th is usually a sweltering day. 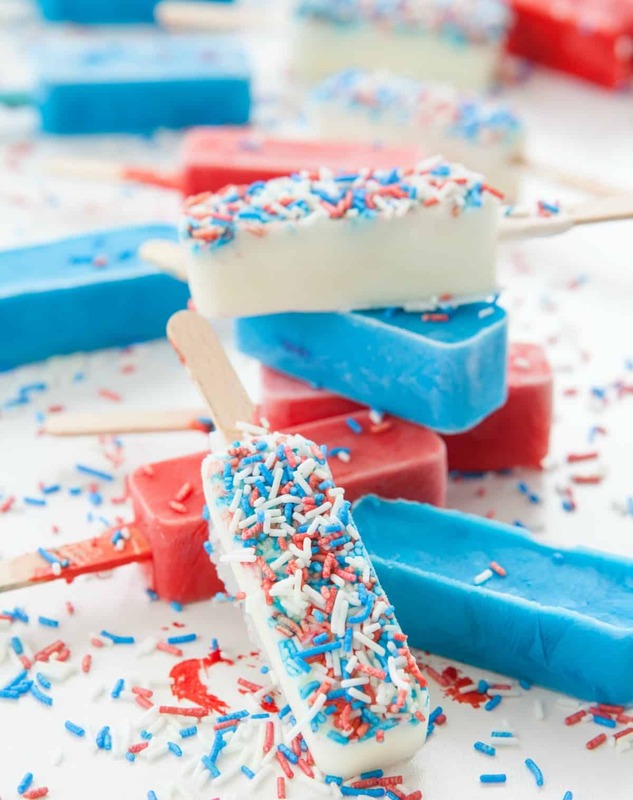 Make these patriotic red, white and blue popsicles for a refreshing, cold treat! Can you spare thirty minutes? Then you can put together a really cute bunting using any type of wired ribbon that you like. No sewing and no template required! 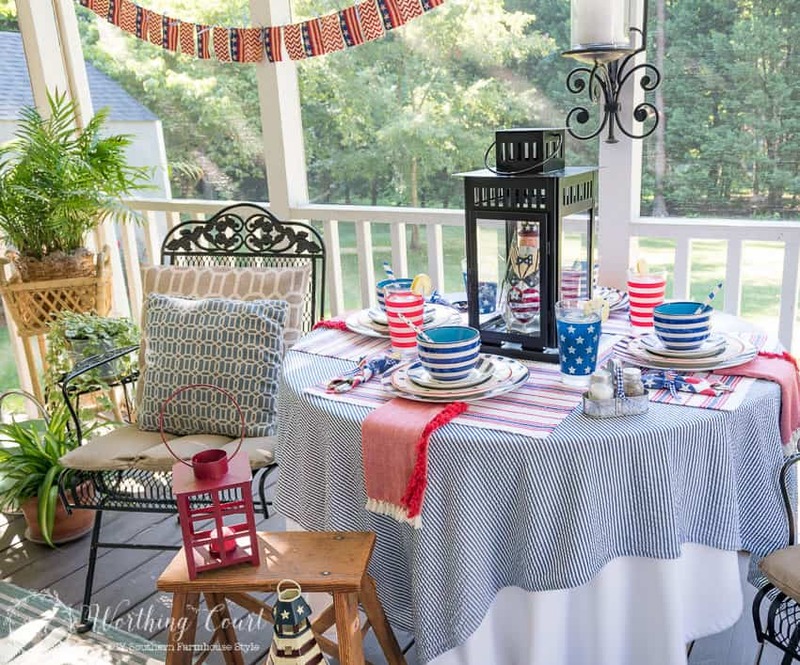 If you’re entertaining, pull out any remotely patriotic dishes and linens that you may have. If you’re not using “real” dinnerware, there are loads upon loads of paper options available! Even as an adult, I always think that the real fun on July 4th starts after dark, ’cause that’s when the sparklers come out! Fill a container with boxes of sparklers so that kids and adults alike can grab them on the run. No matter how you celebrate, I hope that you enjoy this wonderful All American Holiday! We are all so, so blessed to live in the land of the free and the home of the brave! What fun ideas – thanks for sharing. 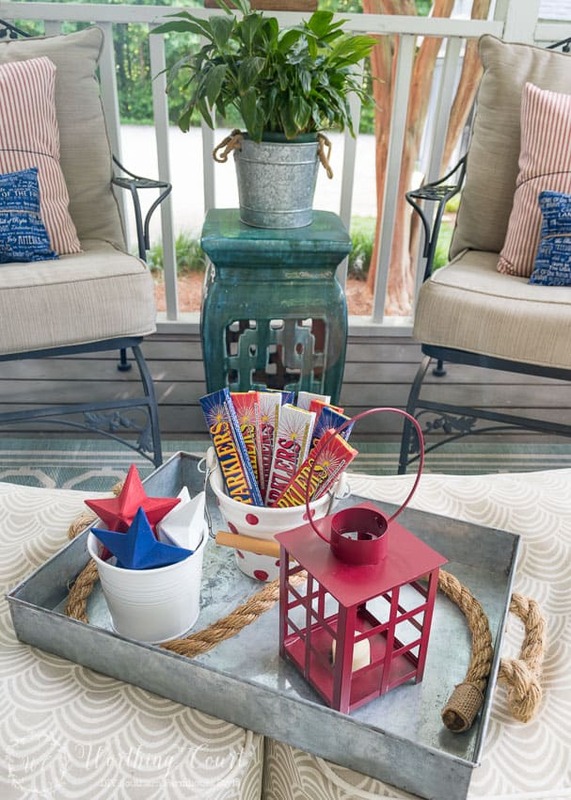 Cute ideas for July 4th! Love the popsicles! Thanks for sharing. Everything looks so festive, ready to celebrate. Enjoy your weekend. The Fourth of July is almost here and I am not ready. Thank you for the red white and blue ideas. This summer truly is flying by, and it just began. Thanks for sharing all these wonderful ideas. Great ideas! I love the pillows. By the way, it is “lightning”–not “lightening” (common mistake). Thanks for showing easy tips. 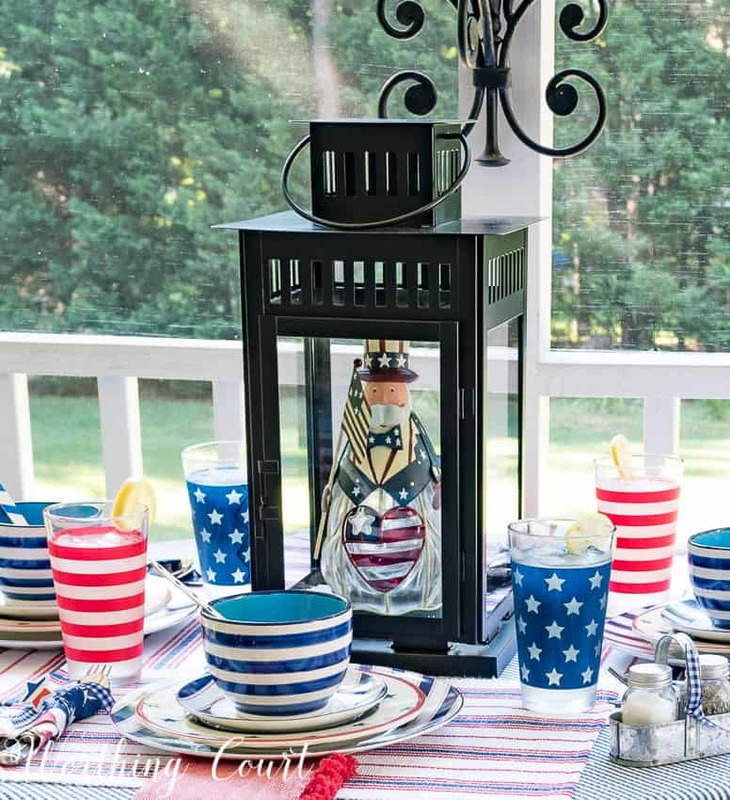 Your little guy in the lantern on your table is way too cute! I’m going on the hunt for something similar today. Thank you so much for the inspiration. The red white and blue ideas are great! 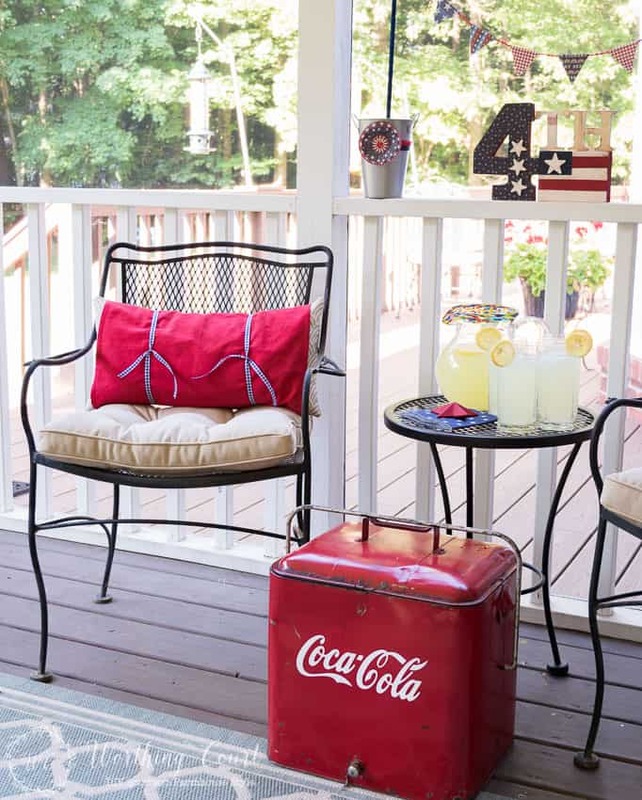 Love your porch area decor!